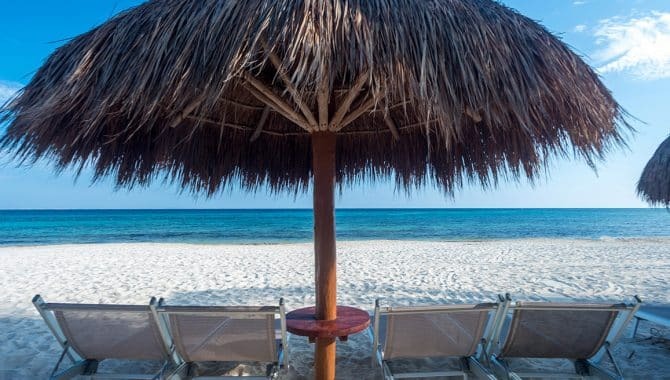 Whether you want to reward your team with a business vacation or spice up your next big convention, Cozumel has you covered. 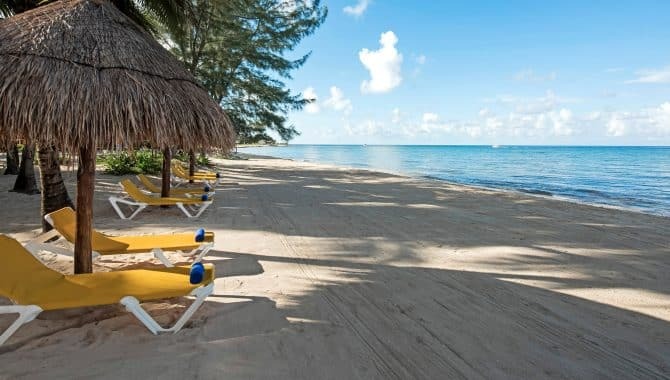 Why spend your day solely in meetings when you can spend half soaking up the sun or diving the world’s second-largest barrier reef? 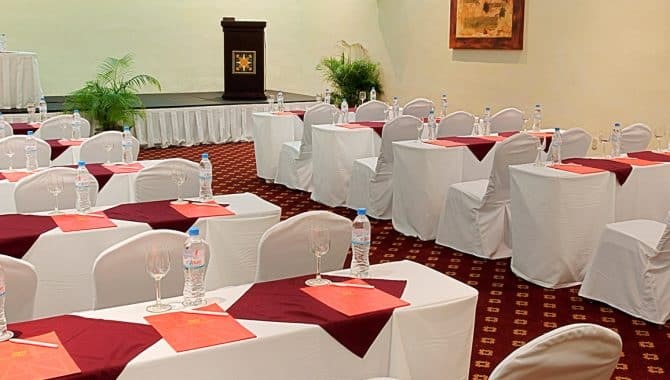 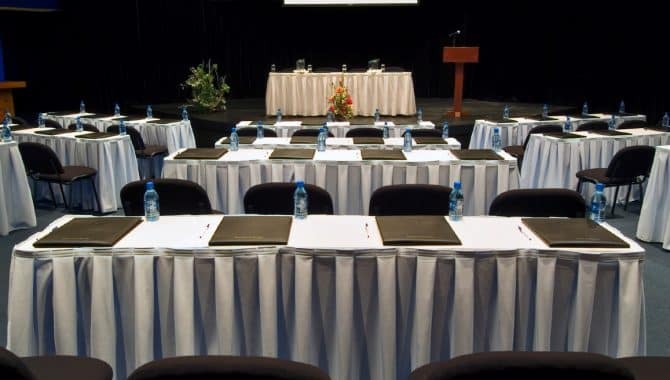 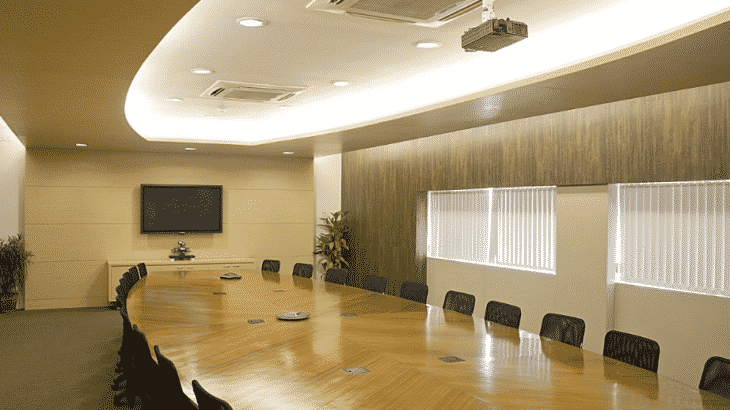 Cozumel’s beach hotels have amenities suited for large conferences and groups, including meeting rooms, ballrooms, dining halls and more. 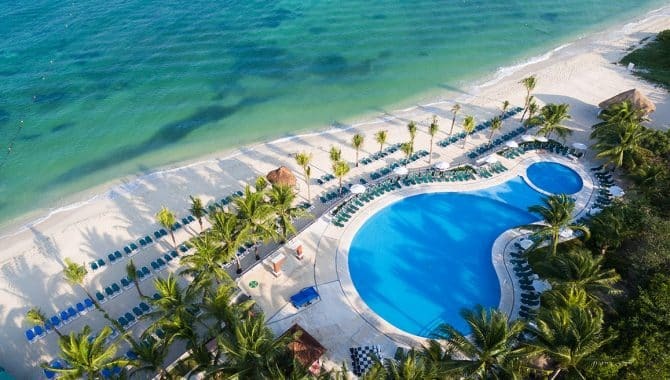 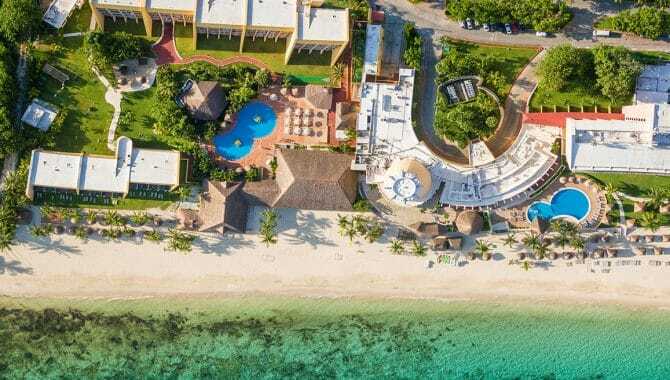 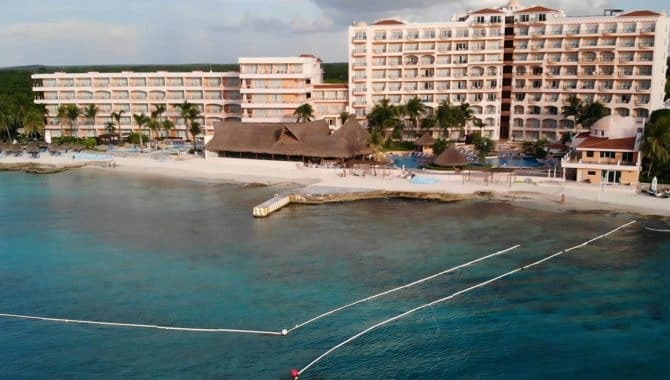 Plan a convention every attendee will enjoy while getting a break from their routine at one of these glamorous beach hotels in Cozumel. 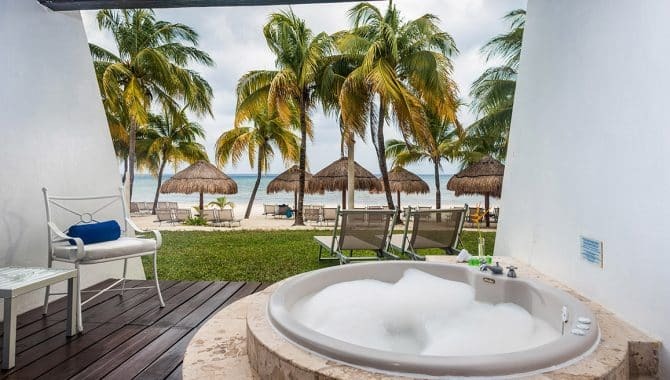 Fun on both land and sea is right outside your door at El Cozumeleño Beach Resort. 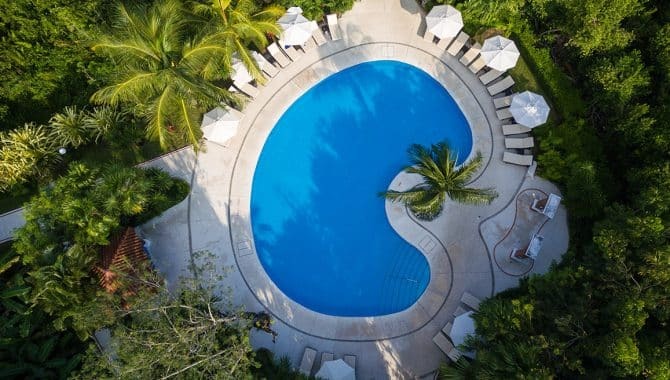 Bask in the warm tropical sun at one of five gorgeous swimming pools, relax in one of two whirlpools, grab a cocktail at the swim-up bar, or choose your favorite spot on the long slice of breathtaking, powder-sand beach. 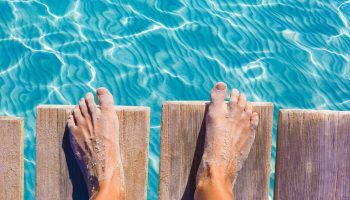 If you want to do more than just dip your toes in the pool or surf, plenty of fun-in-the-sun water activities are available on site. 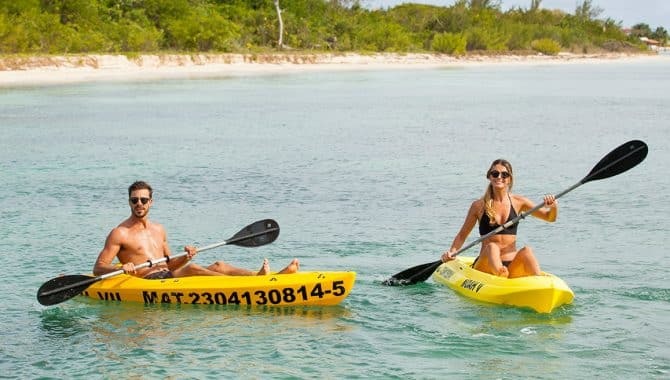 Snorkeling and scuba lessons, as well as kayaking and aquaerobics, are offered at no extra charge. 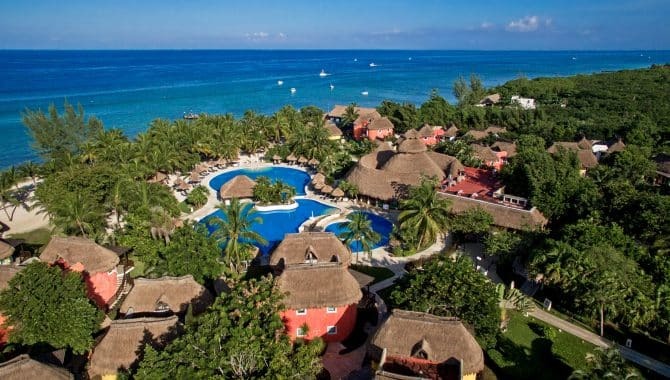 When you want a break from the pristine waters, enjoy the beautiful island of Cozumel on a bicycle tour or while playing a round of golf. 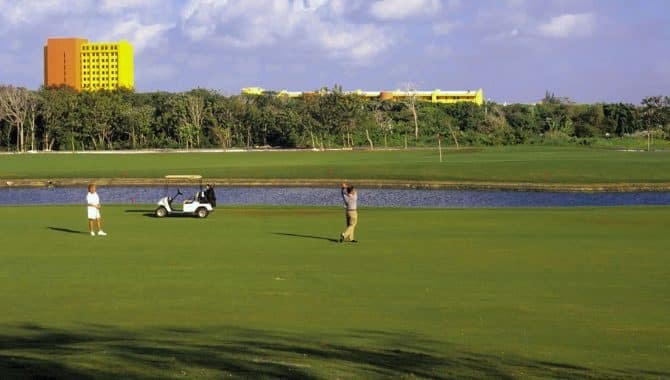 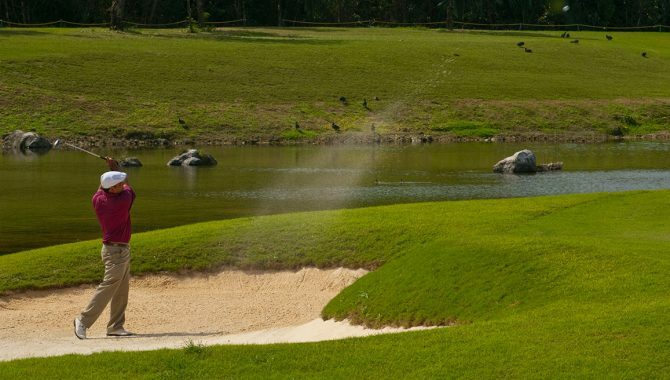 Cozumel Country Club is right across the street; the par-72, 6,734-yard course was designed by Jack Nicklaus’ son Steve, and guests receive a 30% discount on greens fees. 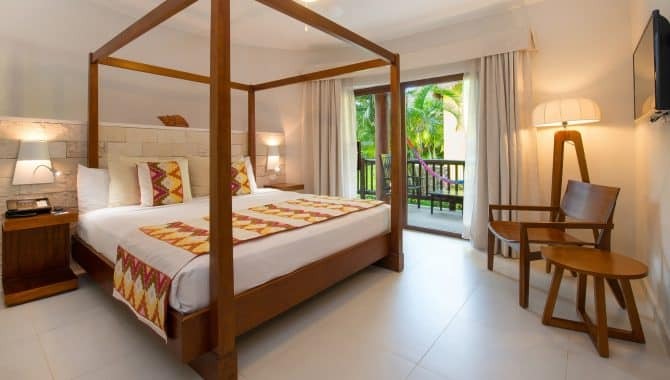 After each sun-soaked day, rest easy in one of the spacious ocean-view or garden-view rooms. 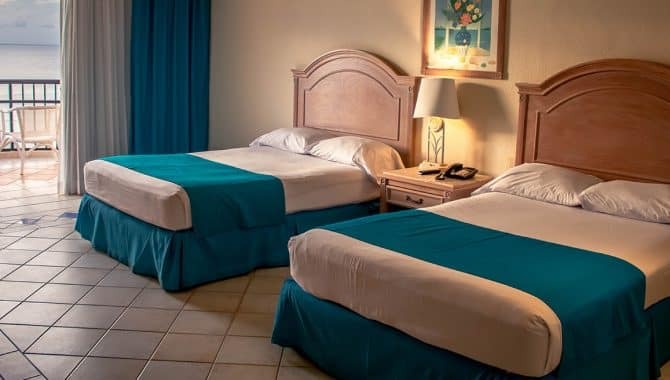 Between 252 rooms located in two separate “towers”, you’ll be sure to find the perfect accommodations for your stay. 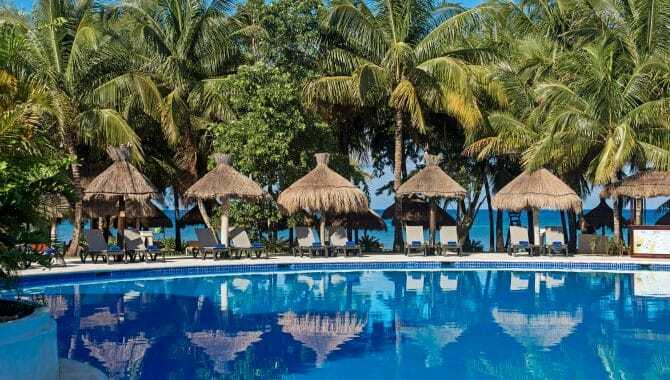 El Cozumeleño Beach Resort features two outstanding restaurants. 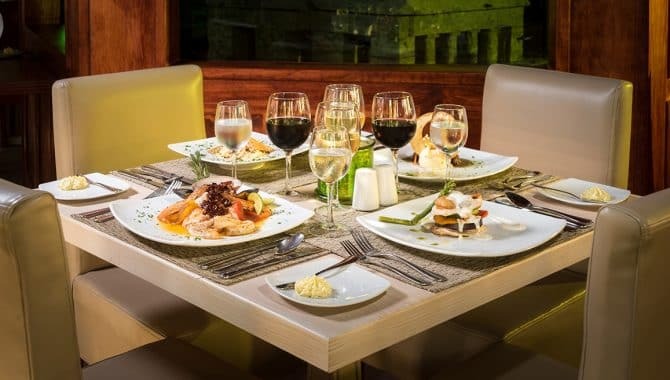 Choose La Veranda for an elegant dining experience, and no restrictions are placed on how often you can go. 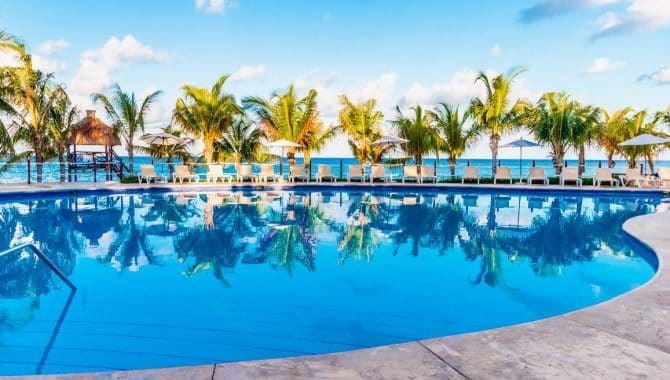 Enjoy panoramic views of the beautiful Caribbean at El Cocal Restaurant, which serves buffet breakfast, lunch and dinner, along with an a la carte menu. 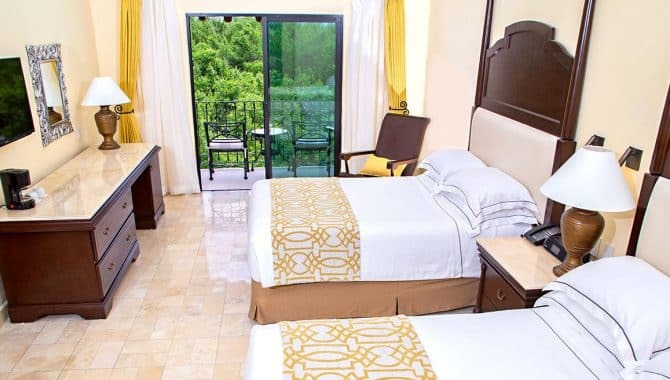 When you stay at the Iberostar Cozumel, things can get a little wild. 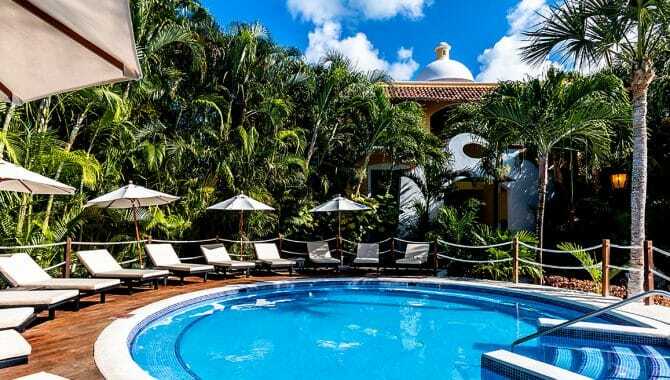 For starters, the resort’s location—a bit off the beaten path and surrounded by jungle—means lots of friendly animals (like peacocks, flamingos and iguanas) wander on and off the hotel grounds. 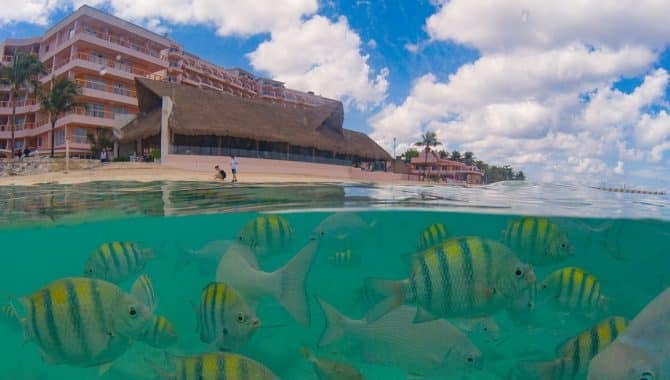 And that only covers the creatures you’ll see on land. 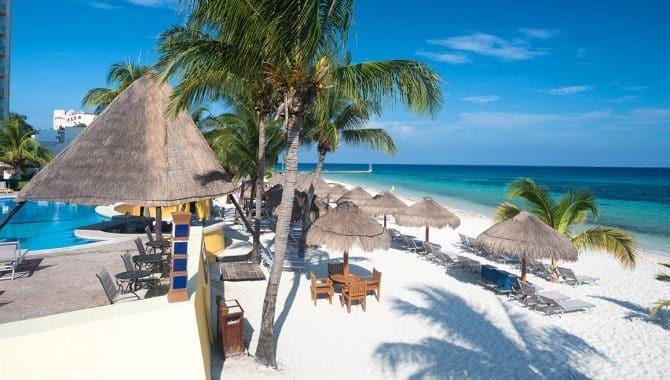 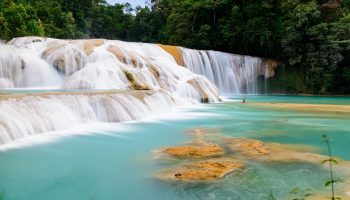 As is the case in many resorts outside Cozumel’s main tourist zone, the main attraction here is scuba diving—something the private beach here, complete with its own on-site dive center, is perfectly cut out for. 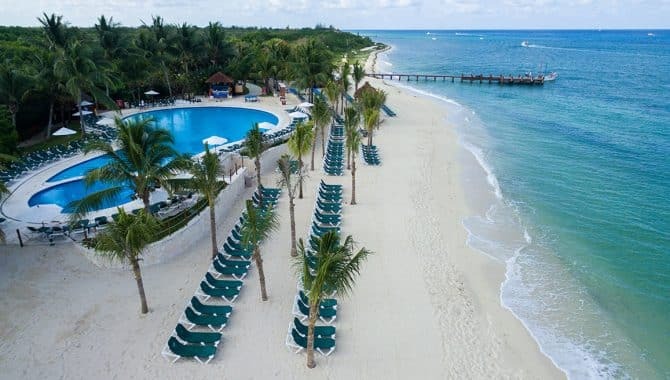 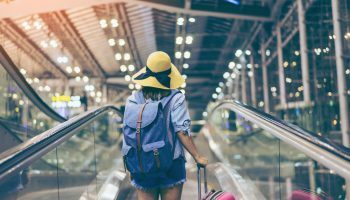 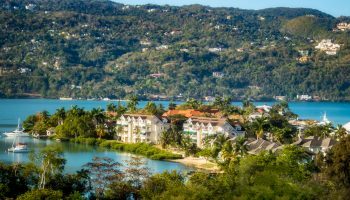 The resort also offers all-inclusive amenities, including access to the hotel’s three restaurants (one is a buffet while the other two offer à la carte steaks and upscale Mexican fare). 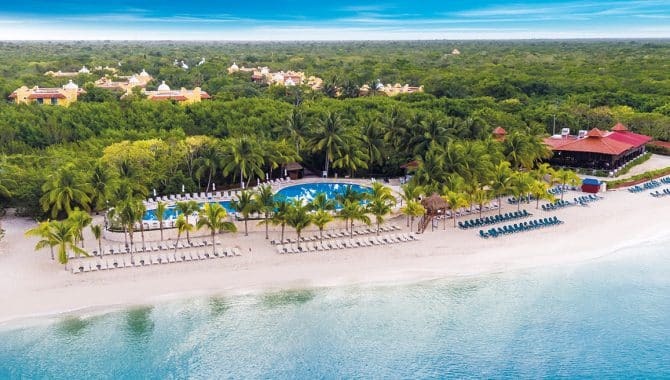 Additionally, anyone traveling with young children will be happy to hear Iberostar offers a whole host of supervised activities at their kids’ club—a boon to parents who might want to slip away for a little while to enjoy resort amenities like the luxury spa or sauna (and each other’s company, of course). 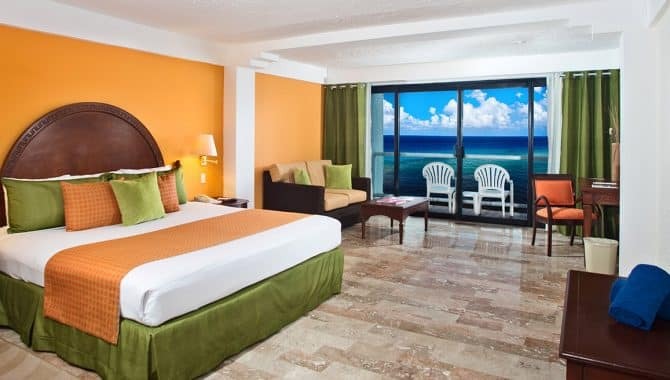 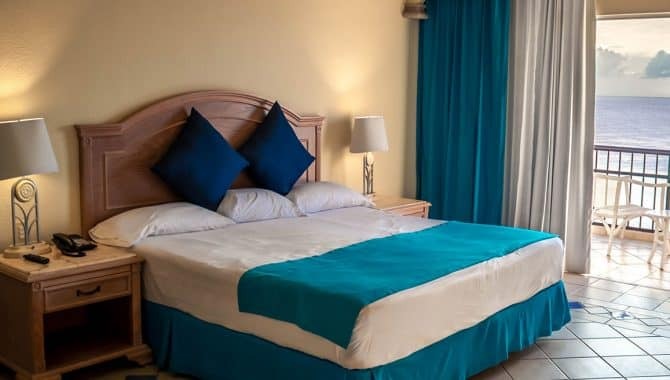 Plus, the huge variety of room options means you’ll feel comfortable no matter what your travel plans are; choose from a bungalow-style ocean-view room with a king bed, a family-style room or anything in between! 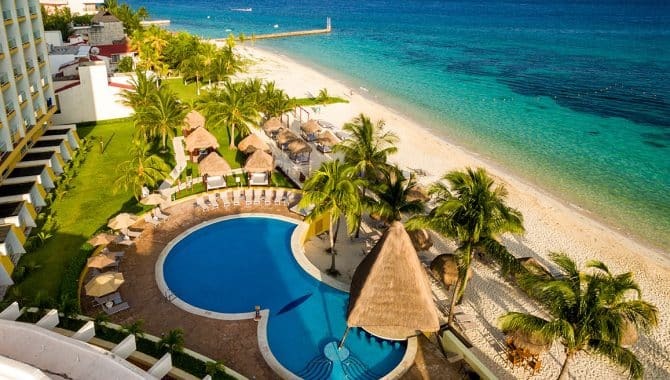 If you want to wake up to some of the best views in Cozumel, the Meliá Cozumel resort is an excellent choice. 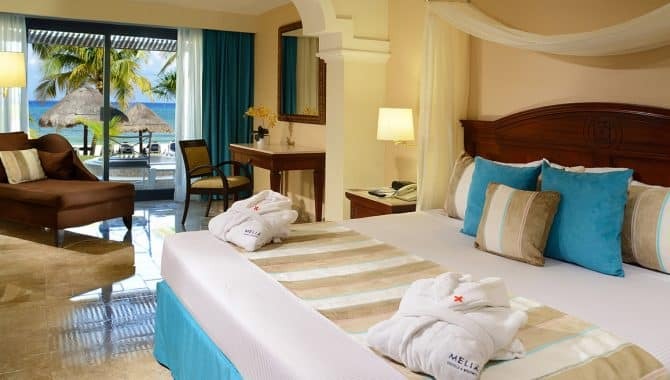 Soak in the sun on the white sand beach or on a lounger next to the pool, which overlooks the aqua blue water of the Caribbean Sea. 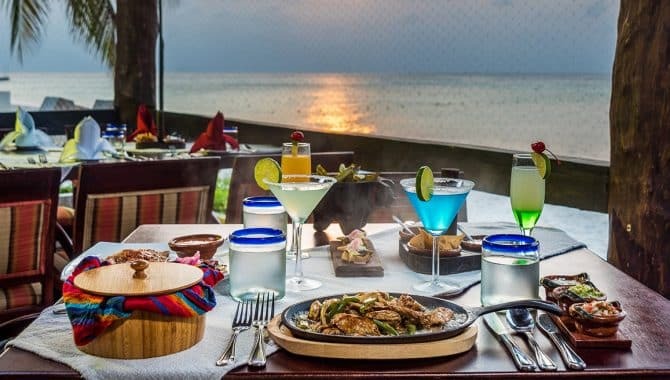 Guests can even eat beachside at the hotel’s La Iguana open-air restaurant specializing in Mexican cuisine. 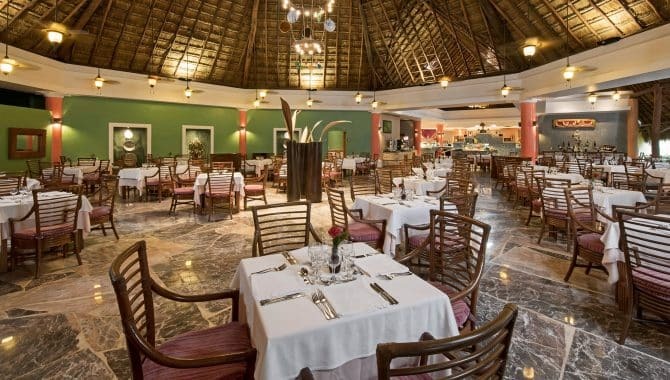 Other dining options include a buffet at La Isla Restaurant and Italian cuisine at La Veranda. 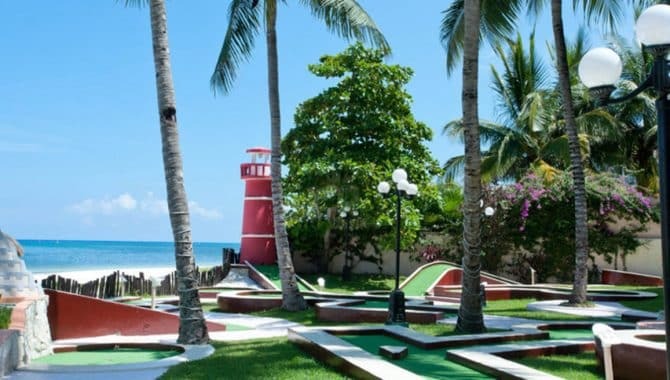 Visit the on-site activities park for archery, batting cages, and a round of mini golf. 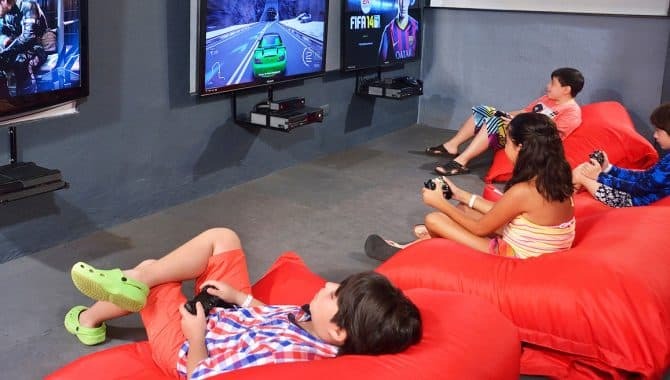 When the adults feel like a break, drop the kids off at the Kids’ Club for indoor soccer and video games. 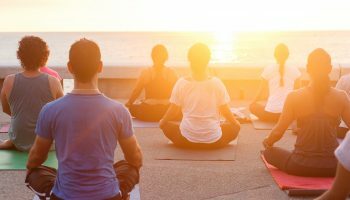 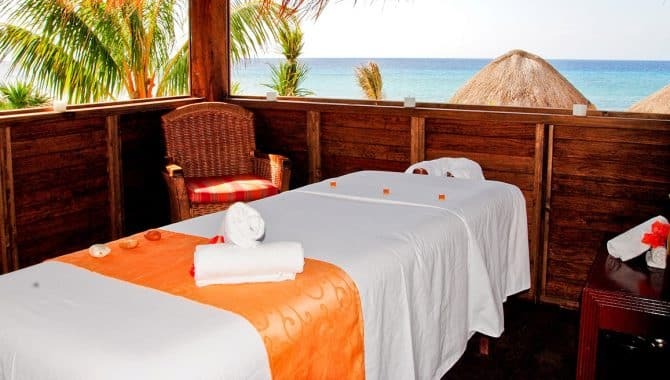 Then, take a detour to the wellness center for an oceanside private massage at the beach hut before hitting the adults-only pool — complete with a swim-up bar. 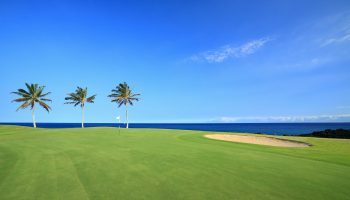 If you want to hit up the green across the street at the Cozumel Country Club, book the golf package for unlimited golf access. 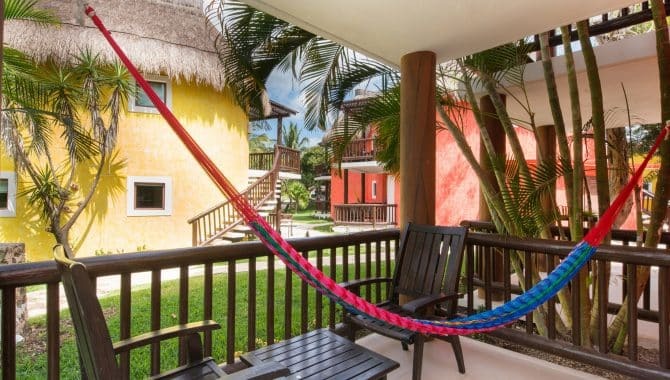 The Cozumel hotel’s accommodations are designed to reflect the local culture, with pops of tropical colors and a welcoming ambiance. 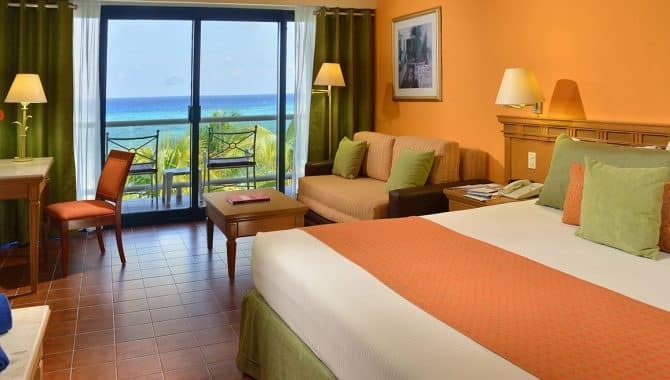 Guests have the option of ocean or garden views in a variety of room and suite arrangements. 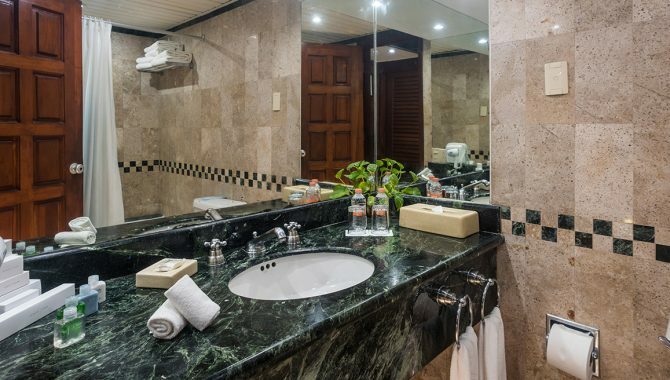 There are also hydromassage bathtub and private balcony options available. 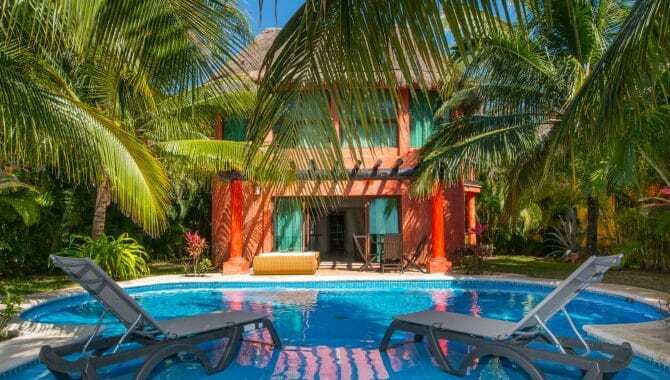 The colorful, hacienda-style buildings of Occidental Cozumel sit right behind an immaculate, palm-studded beach with plenty of room to spread out and soak up every ray of Caribbean sunshine. 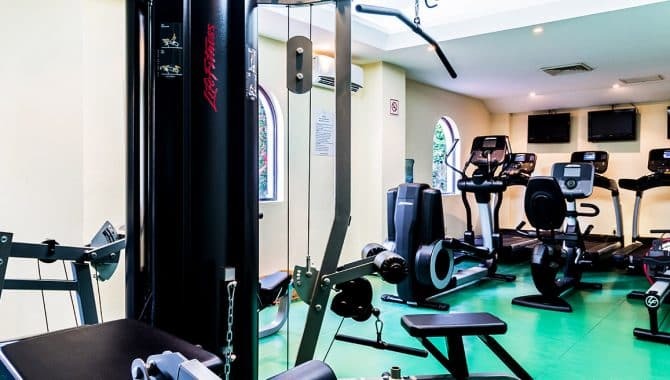 On-site are three pools, a hot tub, tennis courts, fitness center, spa and kid’s club. 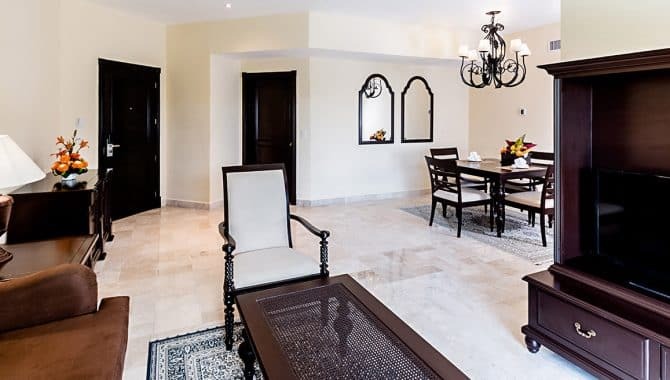 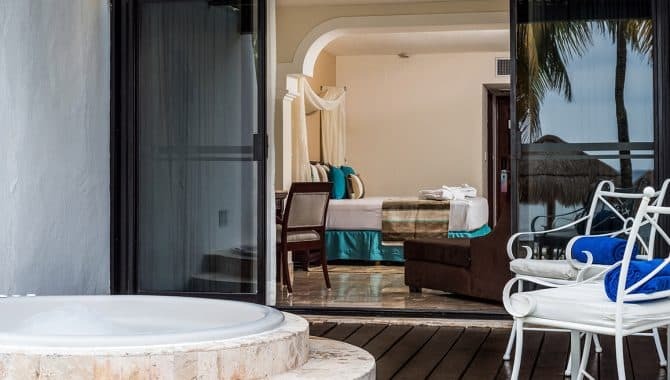 The upgrade to Royal Level at Occidental Cozumel brings a host of well-worth-it amenities including a private restaurant, free WiFi, beach towel service, a private pool, a private lounge for check-in and check-out, concierge service and nightly turn-down service. 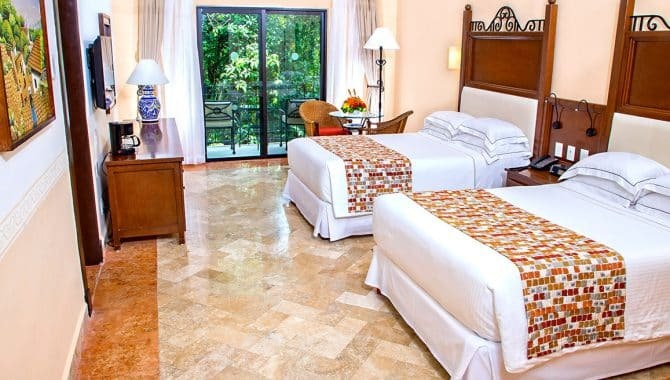 Accommodations range from deluxe rooms to Royal Level master suites and each is surrounded by lush jungle and a tropical mangrove forest. 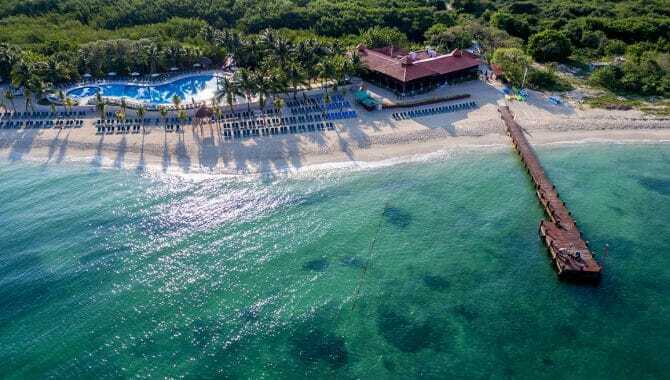 Cozumel is one of the top diving destinations in the entire world, and Occidental Cozumel is close to the Palancar Reef—one of the five best scuba diving sites on the planet. 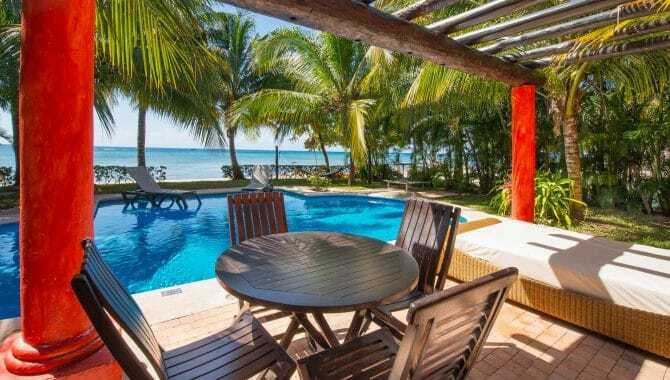 Dive during the day and see brilliantly-colored reef fish and otherworldly-shaped coral. 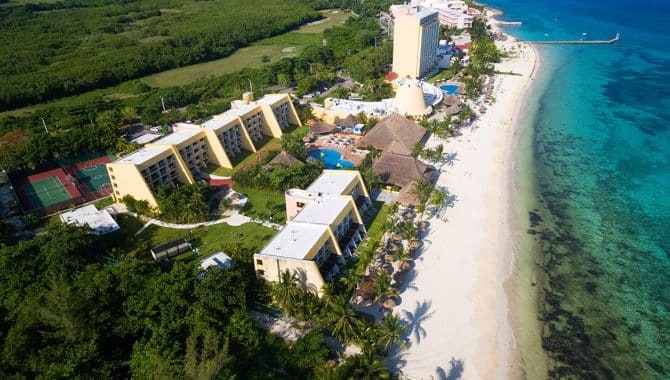 Take a night dive to see bioluminescent plankton, huge crabs, lobsters, eels and octopus. 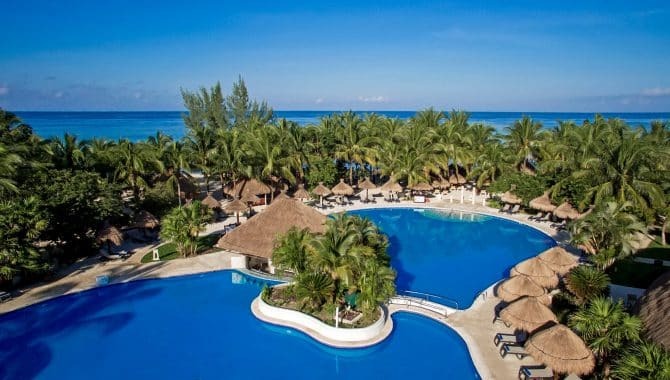 Other water sports at the resort include snorkeling, windsurfing, sailing, kayaking, water aerobics and water polo. 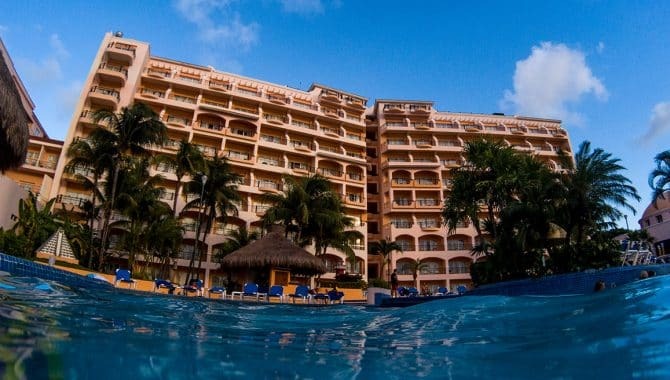 For a delectable, second-to-none dining experience, try La Carreta restaurant or, hit La Posada—a more casual buffet—for delicious tacos and more. 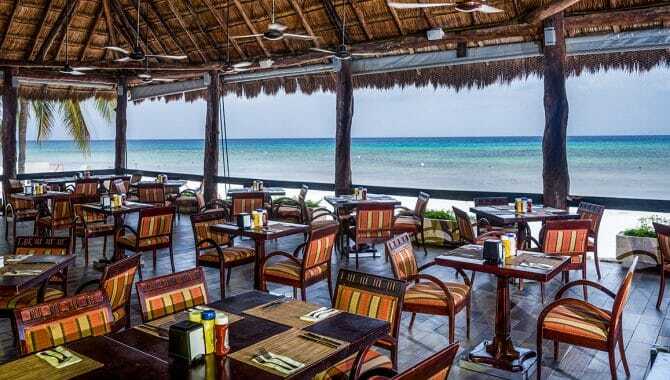 Other restaurants feature Mexican and Mediterranean cuisine as well as seafood. 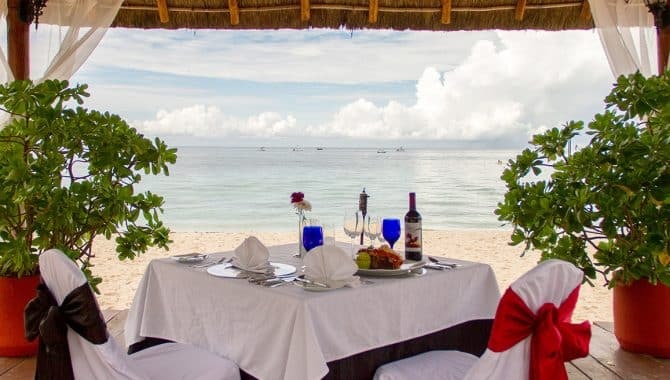 The private restaurant, for Royal Level guests only, prepares anything you want if you give them a little advance notice.